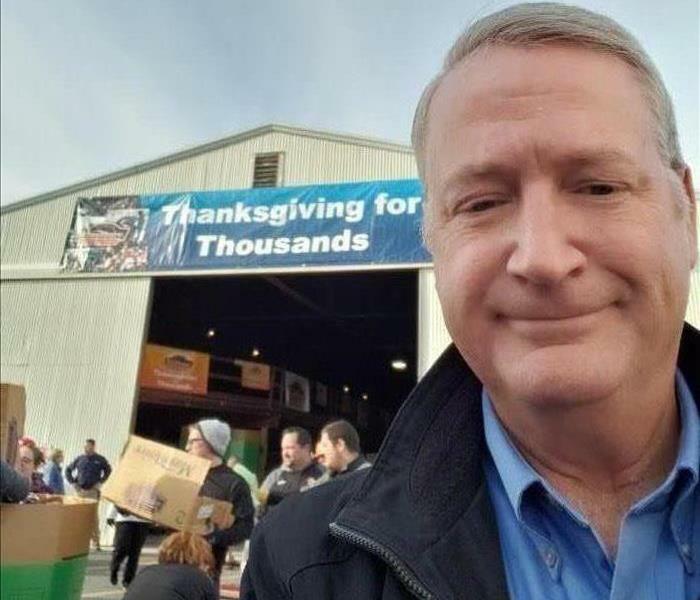 Dave dropping off non-perishable food items at the Mountaire Farms warehouse in Selbyville, DE., for the Annual Thanksgiving for Thousands event which provides needy local families with a complete Thanksgiving meal. 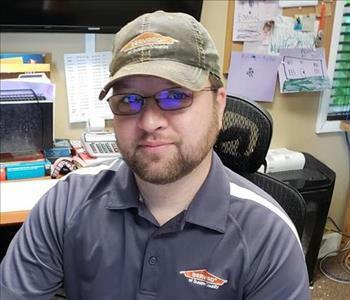 SERVPRO is proud to support! 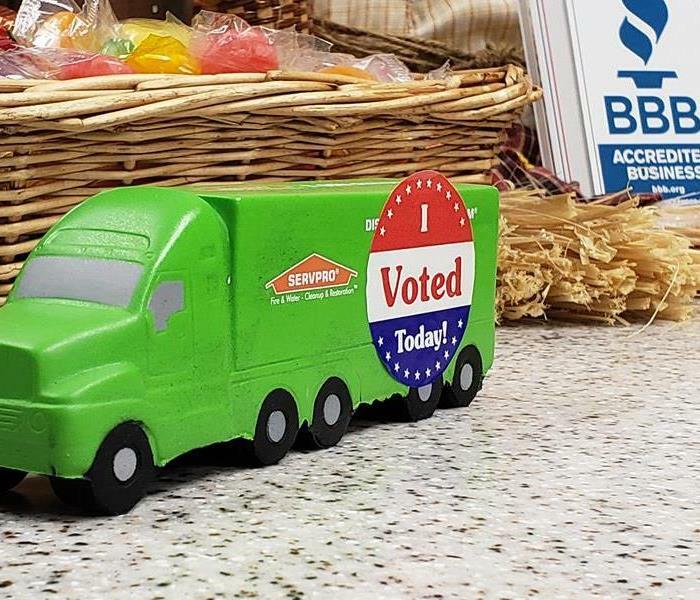 SERVPRO of Sussex County encourages everyone to do their civic duty and cast your votes today 11/06/2018. Every vote counts and everyone should participate.....You can't complain if you don't vote! Andrea Chamberlin and I using our noodles and offering Mac and Cheese to support their worthy cause. They will be donated to the local food bank and offered to those less fortunate in our community for the Holiday. Please join our SERVPRO team and the Rehoboth Beach Volunteer Fire Department on Sunday October 7, 2018 from noon till 4 pm for Fire Prevention Day. The event will take place at the bandstand. Fire Trucks, displays and demonstrations will be presented for this great cause! 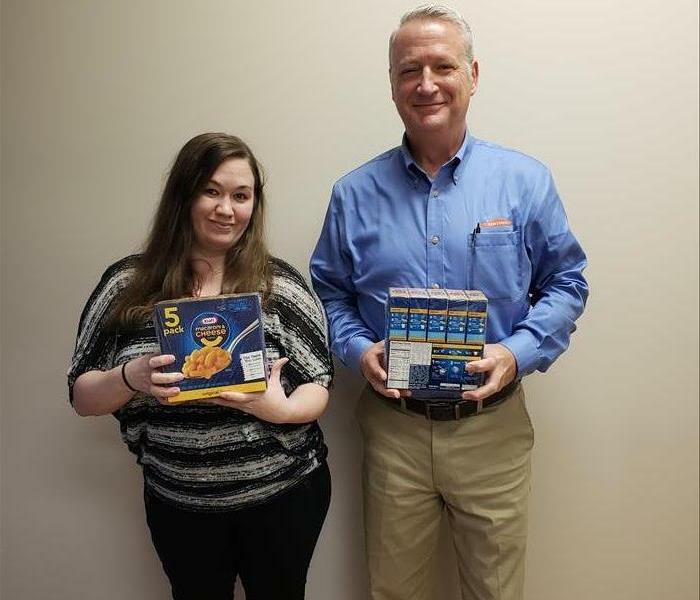 A BIG THANK YOU to Mo and Kristy at the Rehoboth Beach Walmart for their donation of smoke detectors for the Rehoboth Beach Fire Prevention Day on October 7, 2018. 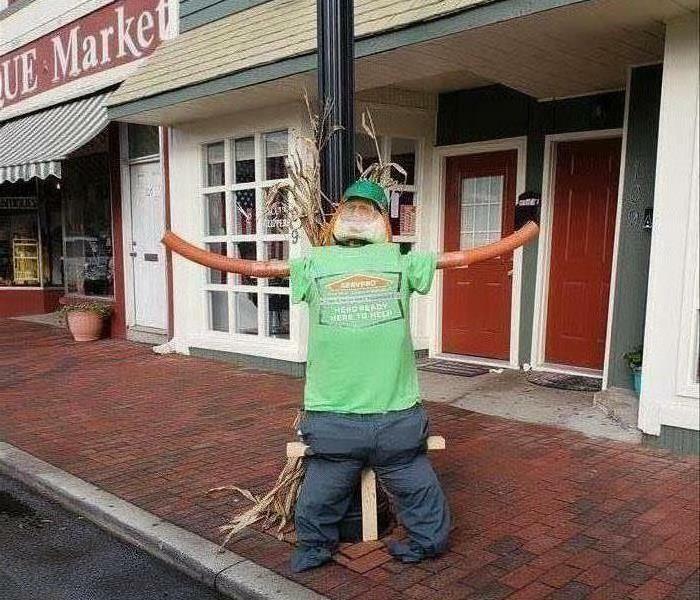 Our Entry into the Arts & Flowers Scarecrow Contest in Georgetown. 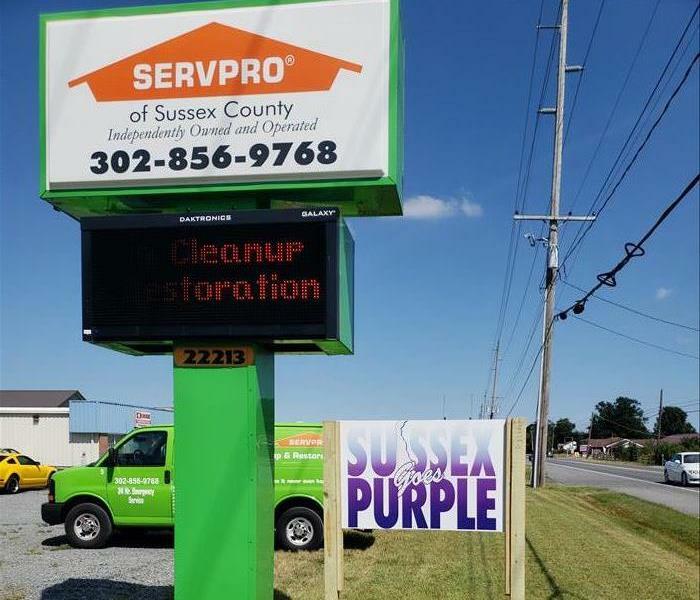 SERVPRO of Sussex County proudly displays PURPLE to support the cause to end substance abuse and addiction. Members of the Laurel, Delaware community came out to "Pick Up Laurel." The event was created by students involved in the "Engaging Youth, Serving Community" Program of the University of Delaware. SERVPRO of Sussex County was proud to support their efforts by providing trash bags, bottled water, bandaids, gloves, and trash disposal. SERVPRO even fielded a pick up team which included Jo Ann Hopkins, Owner; Eva Dupont, Sales; and Rosemarie Johnson, Technician. Together they removed over 30 bags of trash from town streets and parks. 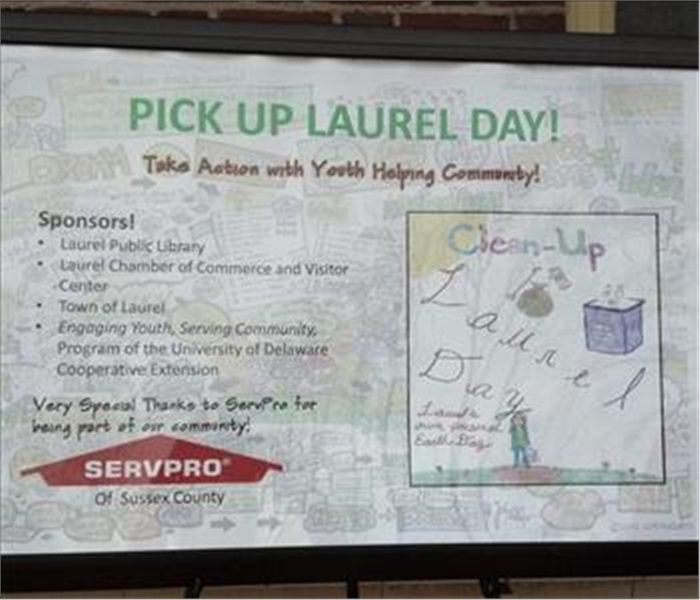 SERVPRO of Sussex County was proud to be a corporate sponsor for "Pick Up Laurel Day!" 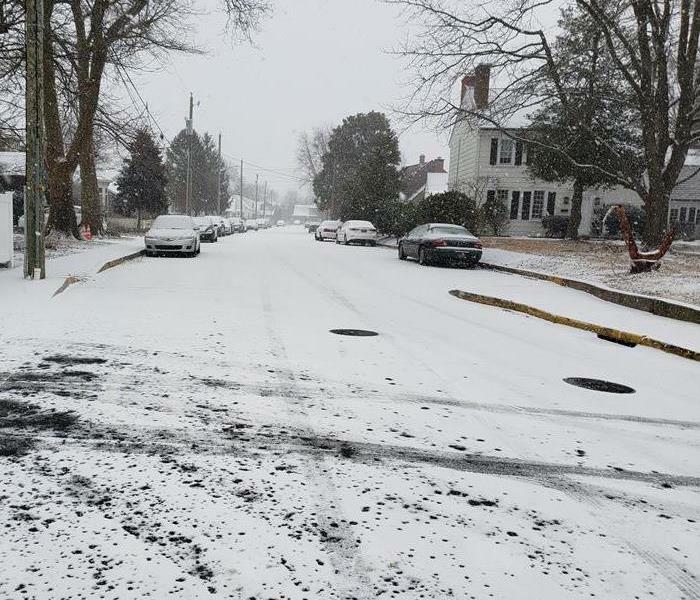 Held in Laurel, Delaware, they are hoping to make it an annual event. In anticipation of the newly revised Historic Laurel Walking Tours, local volunteers came out to "Pick Up Laurel." Students from "Engaging Youth-Serving Community," representatives from the Laurel Chamber of Commerce, Laurel Public Library, University of Delaware, Laurel Historical Society, Trap Pond Partners, SERVPRO of Sussex County, as well as local residents all volunteered their time to clean up the walking areas. 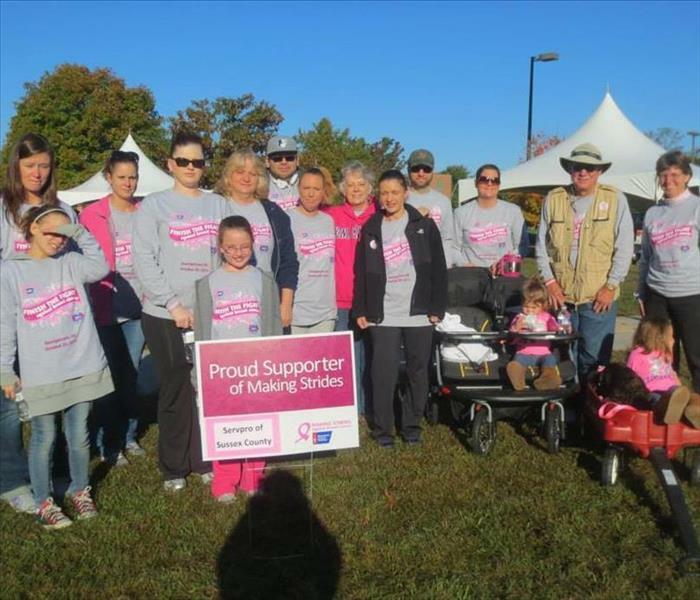 SERVPRO of Sussex County participated in the Making Strides Against Breast Cancer Walk at Del Tech in Georgetown on Sunday, October 20th. Our team raised $1,302.16 for the cause. Thirteen crew, family members, and friends came out and walked for this great cause.